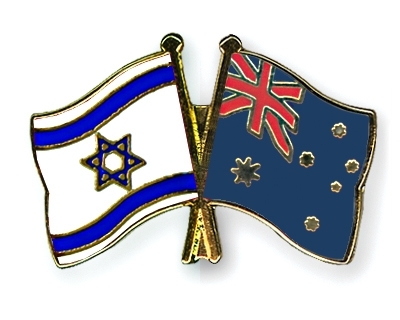 b. the refutation comes from Australia, one of Israel’s most subservient apologists: on Netanyahu’s recent list PM Turnbull chundered the empty cliches that Australia and Israel “have much in common. Shared values, democracy, freedom, the rule of law. Two great democracies – one very small in area, one vast, but each of us big-hearted, generous, committed to freedom.” Definitely in common is their disregard for international law affirmed by Foreign Minister Julie Bishop who “committed Australia to continue defending Israel in hostile international forums” including the ICC and she had firmly announced that Australia would not have supported UN Resolution 2334 that confirmed Israel’s settlements are illegal. c. the refutation has left egg on the faces of Netanyahu and Dore Gold, the Director of the Ministry of Foreign Affairs MFA (really- Ministry of Fools and Amateurs) for the elaborate fiction, created by an MFA gang of wanna-be Ian Flemings, that turned Mohammad Al Halabi, a hardworking UN recognised humanitarian hero, into a dastardly super secret agent who infiltrated World Vision and channeled 50 phantom million dollars to Hamas thus promoting the strategic interests of Iran and, wait for it, ISIS! Yes, and to top it all, this mild-mannered loving man apparently thwarted the vast Shin Bet apparatus of ex-military thugs, agents, spies, and collaborators for 10 years!! 10 years! BTW the Head of Shin Bet reports directly to Netanyahu. Furthermore, Dor Gold stupidly sent the Al-Halabi-aka-James-Bond profile of fantasy crimes to his foreign affairs counterparts around the world. Ooops! Israel counts on lies trumping facts, but it has cried ‘wolf,’ ’terrorists,’ ‘boo hoo we are victims’ too often. The sham accusations began unraveling from the start with World Vision’s assertion that it conducts scrupulous checks and balances, for example “Any payment over US$80 needed two signatures, with anything over US$15,000 signed off by the national office in Jerusalem” and audits are conducted annually through Price Waterhouse Coopers that show no diversion of WV resources. Well, first and foremost, Israel’s attack on humanitarian NGO’s is integral to its policy of ethnic cleansing through lebensraum i.e. removing all Palestinians from their ancestral land to achieve the final goal of Eretz Israel from the river to the sea, by making life unlivable for the indigenous Palestinians.